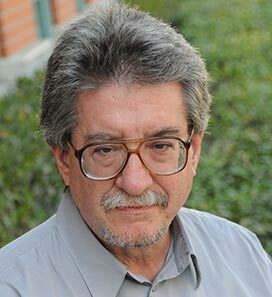 John Strauss, PhD, is a Professor of Economics at the University of Southern California. Strauss has over 30 years of research and survey experience in the developing world, focusing in particular on health, nutrition and its interactions with various aspects of economic development. His earlier work on nutrition and labor productivity pioneered application of methods that can disentangle causality between health and income and led to a large literature on this topic. He is Editor-in-Chief of one of the major scientific journals in development economics, Economic Development and Cultural Change, and in 2008 co-edited a major survey and syntheses of scientific research in economic development, the Handbook of Development Economics, Volume 4, in which he has contributed a chapter (with Duncan Thomas) on “Health over the life course” (he also contributed a chapter to Volume 3A of the Handbook of Development Economics). He has been the PI of the NIH-funded Indonesia Family Life Survey (IFLS) for waves 3, 4 and 5 (2000, 2007, 2014) and is one of three PIs of the NIH-funded China Health and Retirement Longitudinal Study (CHARLS), the first truly national, publicly available, survey of the elderly in China. His previous positions include at Michigan State University, RAND Corporation, Yale and the University of Virginia. He is also affiliated with RAND Corporation and has an honorific professorship (Chang Jiang Scholar) with the National School of Development at Peking University.